Whether trade fair construction, corporate event, product presentation or congress: Hamburg and the surrounding area offers venues of any size and for every need. CCH, Hamburg Messe or other locations: Each district offers huge capacities of suitable meeting rooms and other venues – even for major events. 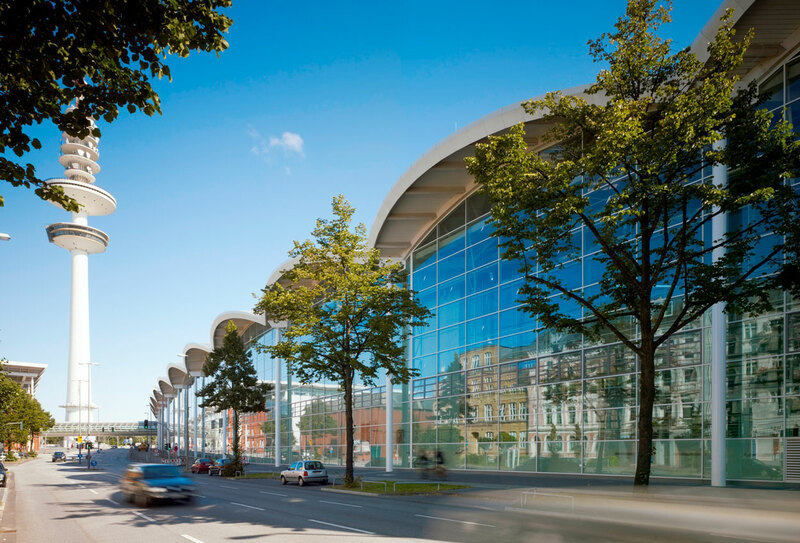 Above all, the Hamburg Fair, with an exhibition space of 87,000 m² and an outdoor area of ​​10,000 m², is an excellent location for trade fairs and similar events. Every year more than 40 in-house and guest events take place on the grounds of Hamburg Messe, where more than 12,000 exhibitors and around 700,000 visitors from all over the world meet. The hmb hanseatic messebau team develops trade fair appearances in Hamburg, Germany and at almost all internationally known trade fair locations. As a full service partner with our own project planning, production, graphics and logistics, we work for large international brands as well as for companies from the region. If you need us, we are here! With our head office in Hamburg, we have the best opportunities to support you on site quickly and easily, during and after a trade fair.